If Fort Collins were a person, they would be considered an optimist with a sunny disposition. Sure, even the most cheerful person has a few gloomy days now and then, but overall you can rely on a solid dose of Vitamin D on a very regular basis. Fort Collins sees an average of 237 sunny days per year which means that you can literally rise and shine in this beautiful town. Fort Collins tops the list of best places to bike in the US! Fort Collins has over 280 miles of wide bike lanes and over 30 miles of multi-use trails, making biking an activity that is accessible to nearly everyone. Heading to work? Hop on your bike! Want to hit the trails with friends? Heading to dinner in Old Town? Bike! We are very proud of our bike-friendly community. Fort Collins loves us and wants us to be happy. No really – we live in a town that goes above and beyond to promote a healthy, happy, and vibrant community. Fort Collins has received a long and impressive list of honors and awards, and for good reason! This one almost speaks for itself. Whether or not you drink beer, you’ve surely heard that Fort Collins is home to a vibrant craft beer scene. New Belgium Brewing is the big name that started as a small home-grown operation right here in Fort Collins. With their headquarters just north of Old Town (and within walking distance of Confluence! ), they remain a top destination for locals and visitors alike. If you’re a thirsty person who likes to imbibe in the local offerings, you can check out this full list of incredible breweries in Fort Collins. Just think, when you’re living at Confluence, you’ll be able to walk to many of these! Fort Collins offers a huge array of outdoor activities: hiking, biking, climbing, cycling, kayaking, cross-country skiing, snowshoeing, camping, sledding, ice skating, swimming, and more! There is virtually something for everyone of all skill levels, many within a short distance to Confluence. You don’t even have to be an outdoor enthusiast to enjoy the great outdoors in Fort Collins. Maybe you just want to relax by a pool or lake and bird watch! Fort Collins is home to a number of huge industry leaders and many more successful local businesses. According to the Coloradoan, the job market is very favorable right now, with plenty of Northern Colorado businesses looking for new employees. Check out this list of the 5 best businesses to relocate to Fort Collins for. Ready to move? We don’t blame you! 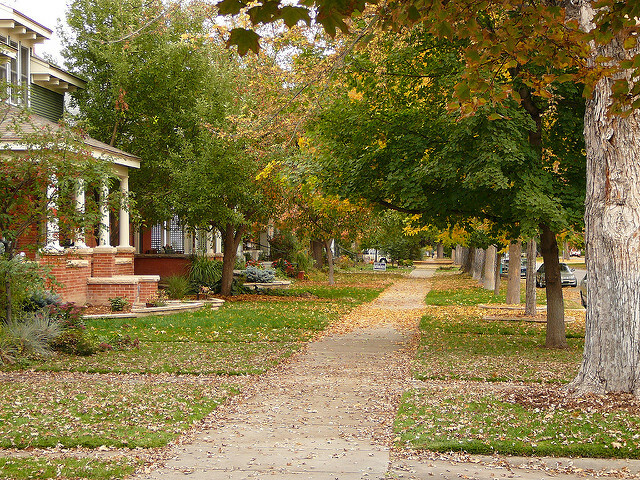 Fort Collins truly is a lovely place, and Confluence Fort Collins allows you to enjoy the best of it all. Confluence is an easy choice when it comes to planting yourself in Fort Collins. If you’re ready to make Old Town Fort Collins home, contact us today about the new Confluence lofts in the heart of it all. Pre-sales are happening now!